Pernille Stafford studied Three Dimensional Design at Berkshire College of Art. 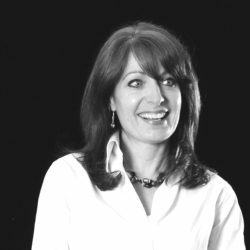 She has undertaken a wide range of interiors projects, from residential to education, hospitality to retail with key expertise in commercial office design. Formally Design Director at Scott Brownrigg and for TP Bennett, Pernille has a wealth of knowledge having been instrumental in the industry for over 21 years. In May 2012, Pernille set up Resonate Interiors to respond to a need for high-quality design for smaller to medium size projects. Pernille worked alongside Rapport on our projects for Blevins Franks and PA Resources.